DuPont™ Kalrez® Valve Stem Packing (KVSP™) systems can help to significantly reduce fugitive emissions and improve process control through the innovative use of Kalrez® perfluoroelastomer parts combined with other proven packing materials. 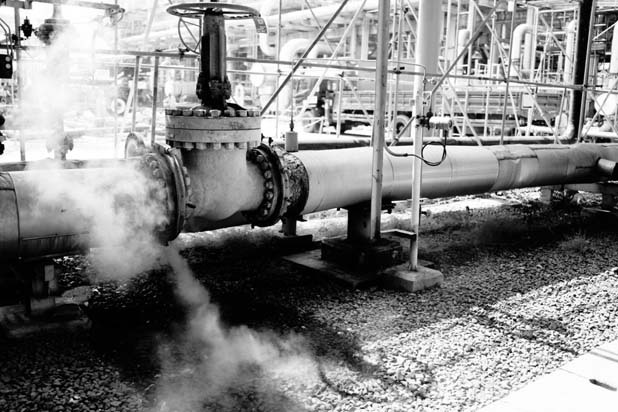 Graphite packing systems can meet fugitive emissions requirements but restrict valve movement, leading to inconsistent process control. Polytetrafluoroethylene (PTFE) has excellent process control response characteristics but cannot contain fugitive emissions when temperature cycling is involved in conjunction with operational cycling. Kalrez® packing systems overcome these deficiencies, as well as reducing leak rates to near-bellows performance. Kalrez® is chemically an elastomeric PTFE derived from tetrafluoroethylene (TFE), the same base monomer. It provides a unique combination of chemical resistance and inertness like PTFE, but with a higher temperature service limit and no tendency to cold flow. The chemical structure remains cross-linked and stable at high temperatures and does not move under load or deformation. Its resiliency and memory provide improved sealing for control valve stems. 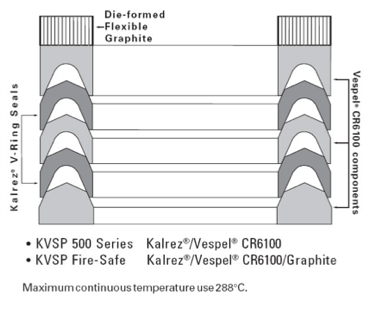 Using Kalrez® V-rings backed up with more rigid components of carbon fiber-reinforced PTFE (DuPont™ Vespel® CR-6100) has proven to be a major advancement in improving process control and reducing leakage to less than 1 ppm, or below the plant’s background level. Kalrez® perfluoroelastomer packing systems increase a valve’s ability to react quickly and smoothly to process changes. 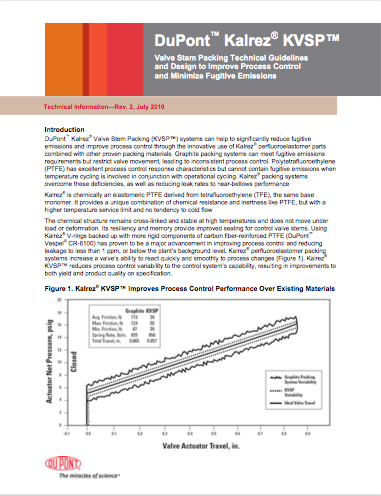 Kalrez® KVSP™ reduces process control variability to the control system’s capability, resulting in improvements to both yield and product quality on specification. The design objective for packing should be to maximize containment while improving process control. The surface and contact area for the elastomeric chevron sealing ring and design of the support elements are important. Too little elastomeric sealing surface jeopardizes the system’s sealing integrity, while too much increases the system’s friction and ability to react to process input changes. 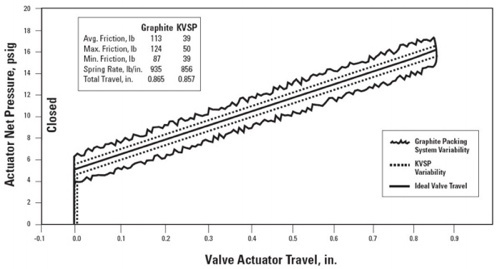 A perfluoroelastomer packing increases the valve’s ability to react quickly to process changes, resulting in improvements to both yield and product quality. This can be easily verified by running diagnostic tests.